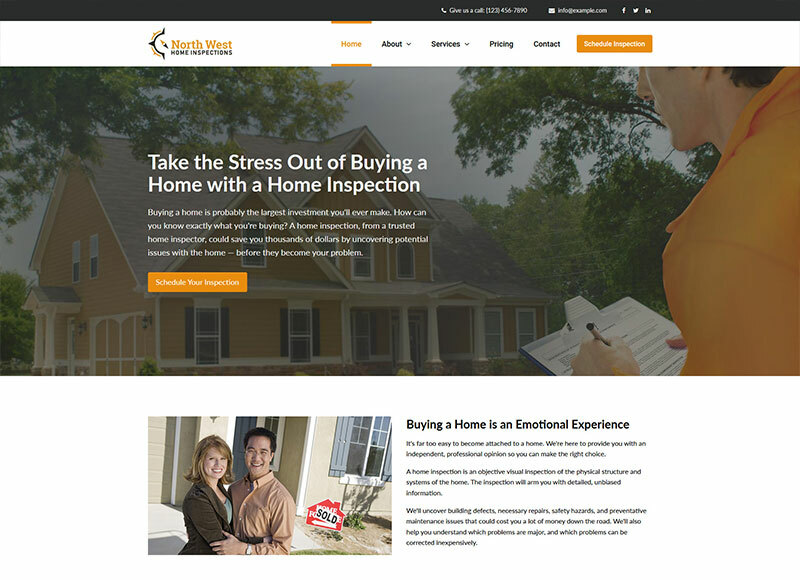 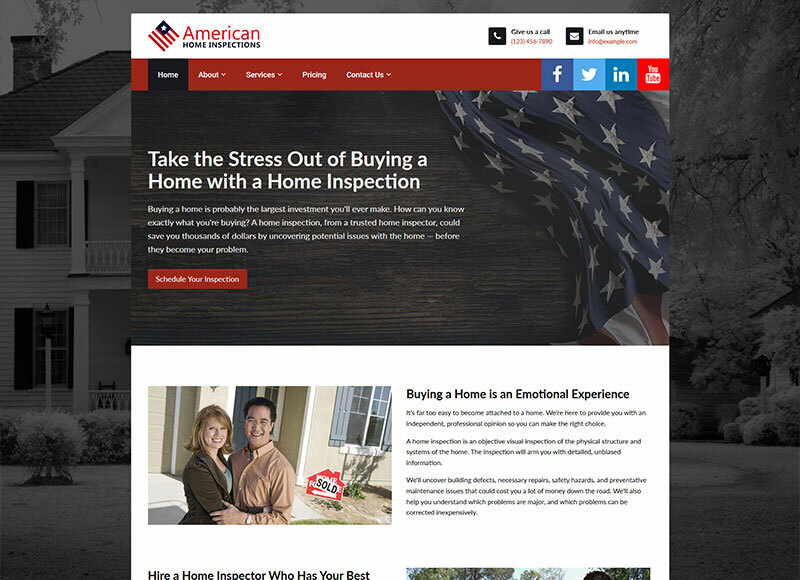 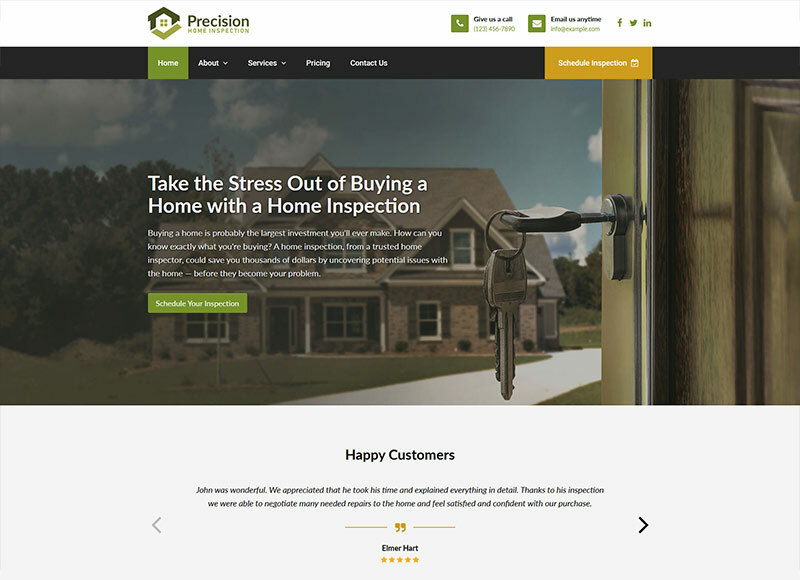 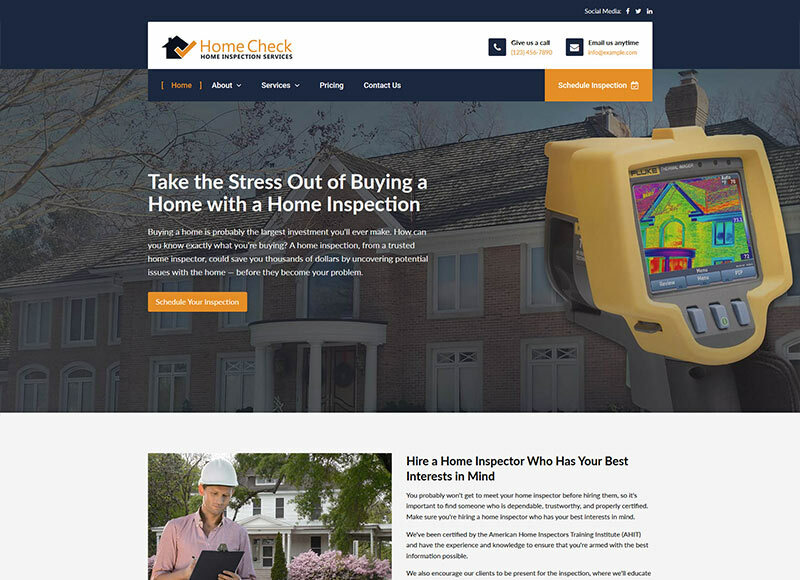 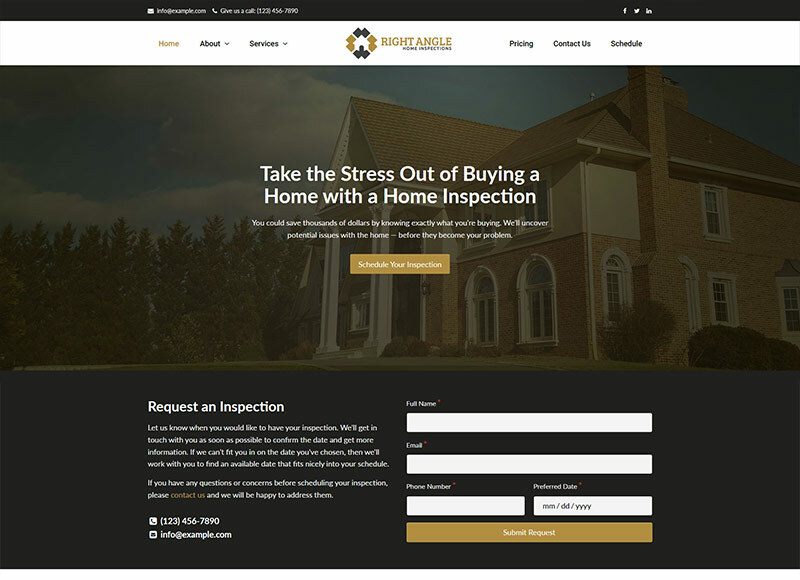 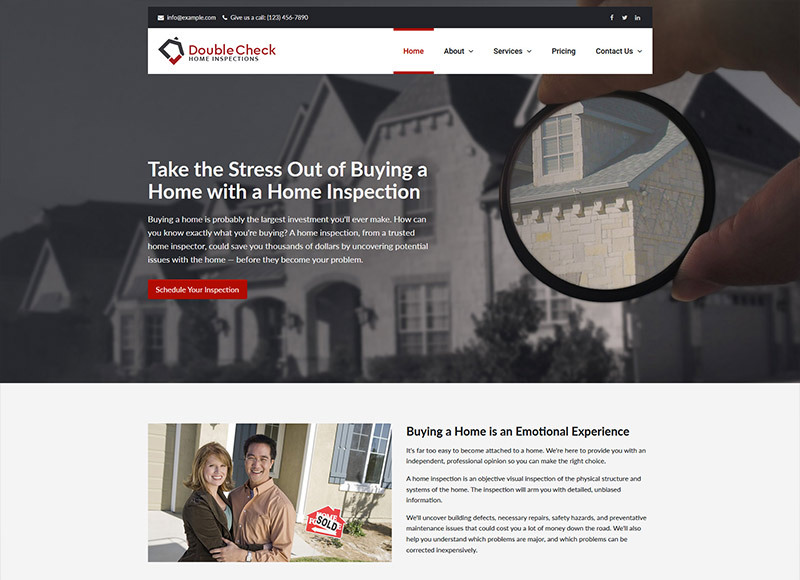 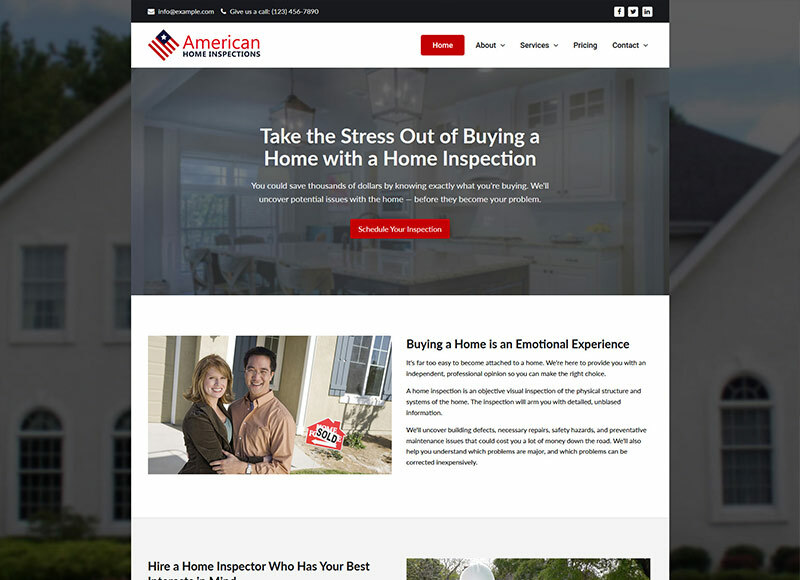 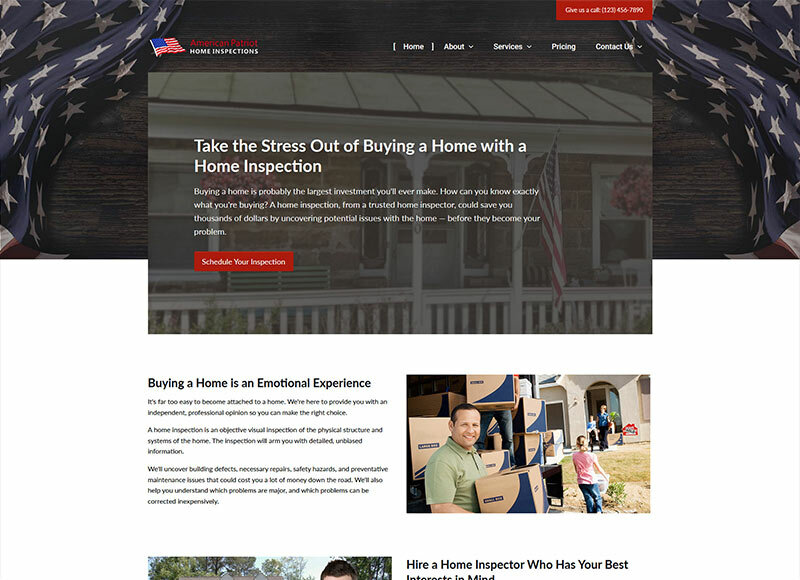 Home Inspection Website Demos	See exactly what you're getting with a fully-functional preview of our website designs. 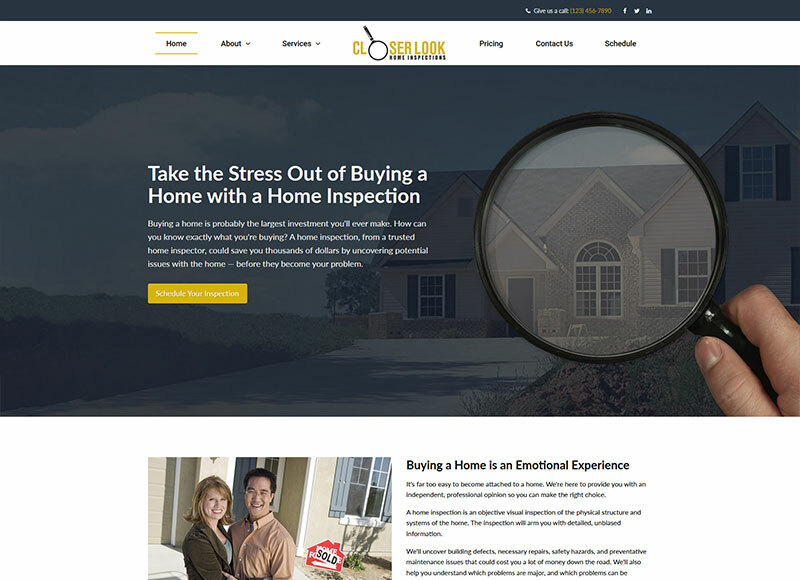 Stand out above your competition with a professional website design and content that's focused on your clients. 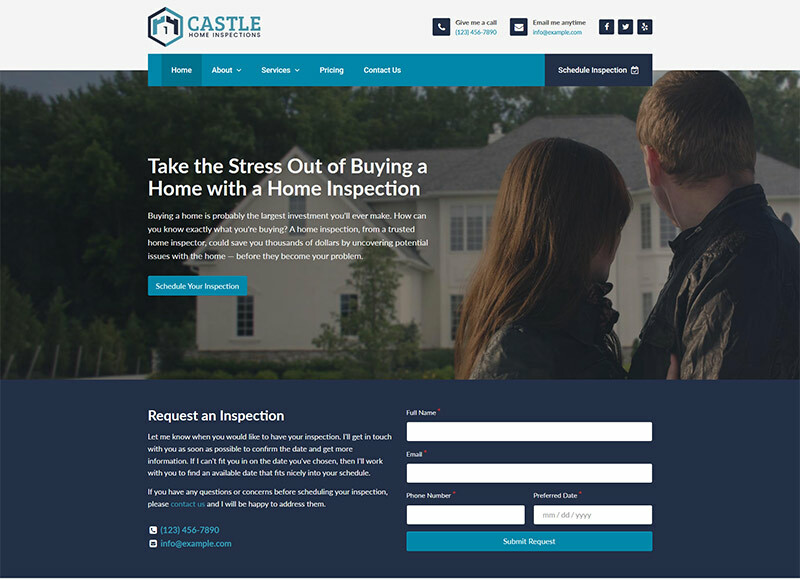 Work with us to customize your website to your needs, or use it as-is, and start scheduling more inspections.